Roofs are normally given a 10 year guarantee and if regular maintenance checks are done by a professional roofer it should preserve your roof from looking tired and worn. A fundamental structure of your tiled roof is the pointing, this is a process of using mortar to seal and hold tiling together stopping moisture seeping into the underlying surface of your roof. To repoint is to fix cracks or breaks in the mortar giving added strength and structure in high winds or when debris falls onto the roof. If your tiles are loose, they can be a hazard, especially if they fall off the surface and land on unsuspecting pedestrians walking by OUCH! How do I know when I need Repointing? Some roofs have had no work for 10 years or more and still look fine from afar although closely could have possible cracks, chips and general wear and tear from the elements, this can make them look years older from no maintenance. Faded tiles will add years to the look of a home and make it look tired. With no protection to the surface this exposure can be subjected to further damage. When tiles and mortar have cracks or chips this is an invitation for moisture to come into the underneath of the tiles surface. Further damage can also be caused if not attended to before wet weather comes about. If tiles are cracked or broken due to wet weather or fallen branches then moisture can leak underneath the tiles, through insulation and onto the inside ceiling of your home that could later cause sagging if not attended to as soon as possible. When it comes to roof restoration needs big or small, addressing maintenance issues will be a great preventative to future water leaks that if untreated can lead to mould and mildew or more extensive damage. 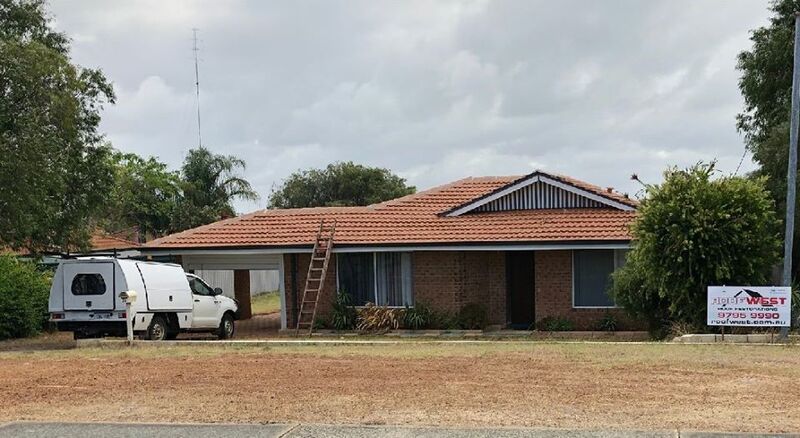 To prevent water damage and othe roofing issues in your home, contact ROOFWEST for a free onsite quote on 9795 9990.
Who can I get to do Roof work in Katanning? Looking for a specialised roofing professional? 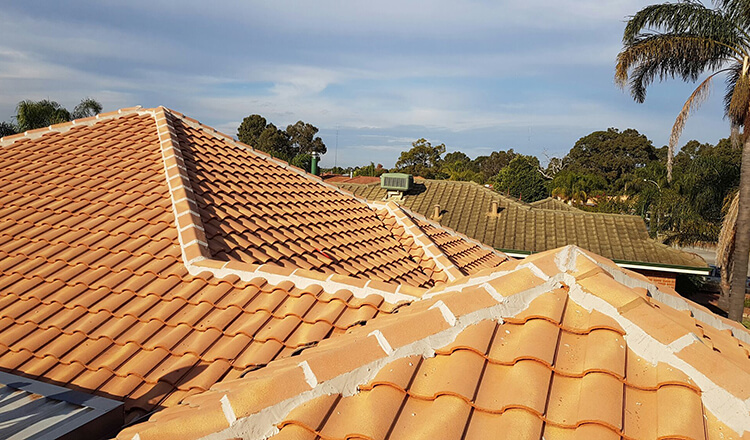 ROOFWEST has over 35 years’ experience in Roof Restoration and can deliver their services to homeowners all over southern Western Australia covering the Southwest, Great Southern Region including Katanning. We use quality roof coating products such as Solacoat or Dulux Acra Tex which are both fantastic products for the added protection of your Roof surface. We also have many other tips and techniques we can use to clean or restore your roof. 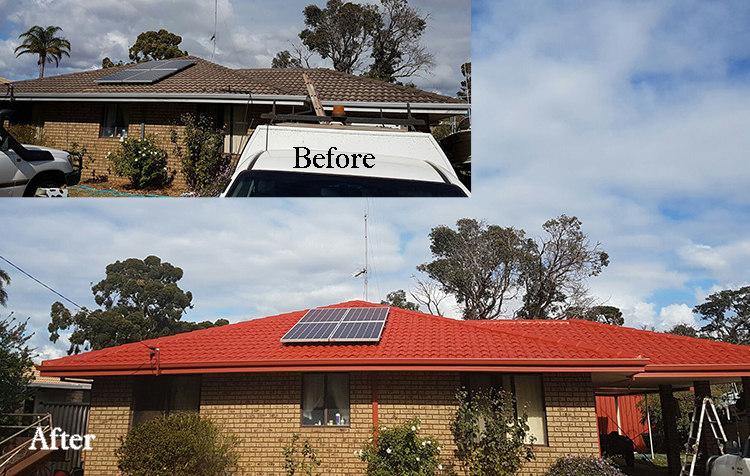 ROOFWEST has a complete range of services to offer you and giving your roof the transformation, it is needing from graffiti removal to a full roof restoration, you will be given the best workmanship and peace of mind GUARANTEED. All roofs are different and require different specialised services. 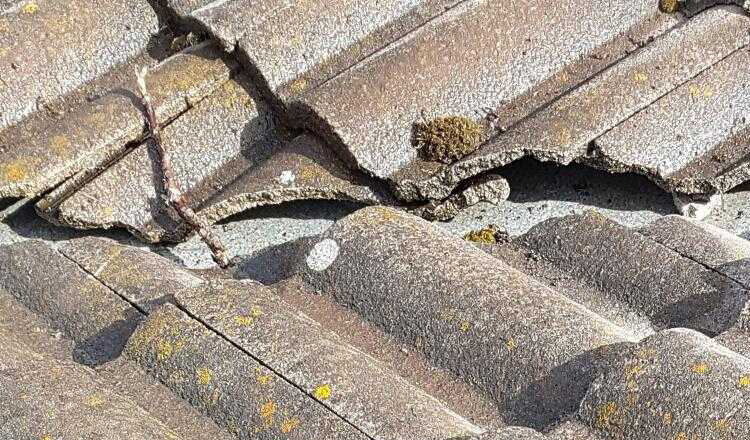 Whether your roof is tiled or tin when an assessment has been done all areas such as lifted sheets, broken tiles, leaks, wet spots, guttering problems, fading or other unnoticed issues ROOFWEST can advise you on repairs, recoating / painting or if full replacement needed. 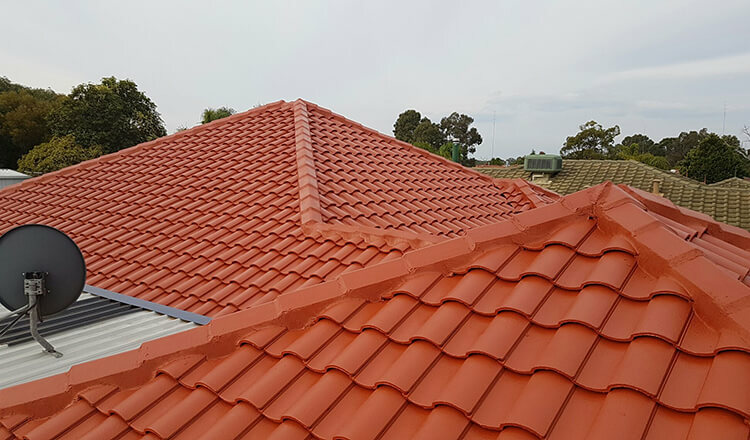 If you have a tiled roof that has seen better days and you would like to have it replaced, change to a tin or vice versa, this is a specialised service that will add value to your home or business. When your roof has been inspected and before any major work commences a high pressure clean of your whole roof surface will be conducted to remove any debris and surface dirt to give a nice clean finish. Is your roof painting is looking faded? It is amazing the difference a high pressure clean can do. An added benefit of protecting your Roof surface and with two products to choose from you can be assured of the quality a product can give with a warranty for years to come. Two fantastic products to choose from is Dulux Acra Tex and Solarcoat. Whether your gutters are in need of maintenance or complete replacements the flow of gutters and downpipes will be back in action. 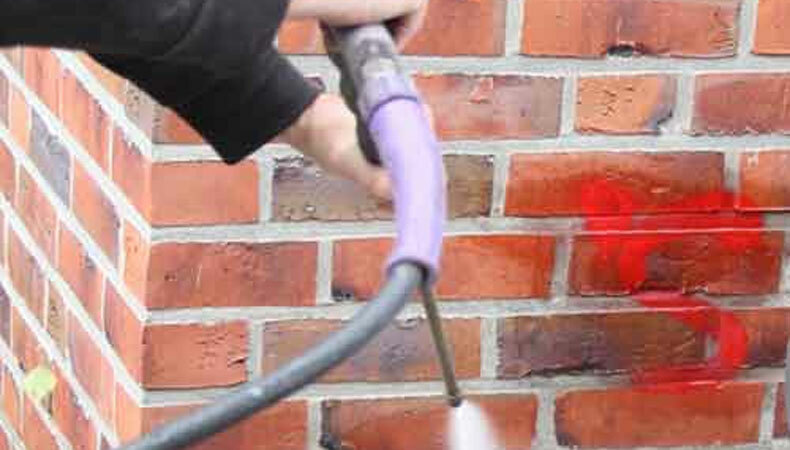 Having the right tools and products to help remove current graffiti and products to apply to protect your surfaces if graffiti is a problem, removal will be easier in the future. The specialised services of a Roof professional who can cover all your Roofing needs can be all done with a free quote today. Contact the team ROOFWEST Roof Restoration they are your trusted choice in roofing, call 9795 9990. How can I maintain my faded Roof? Maintaining your roof is a great way to add appeal and increase the value of the property. Giving you a saving all round. Giving your roof a painted coat has many benefits of protection. ROOFWEST offer a fantastic saving solution called Solacoat. Solacoat is the world’s best heat reflective coating as it helps to reflect the suns ultraviolet rays which in turn will drop the temperature of the internal structure of the home too, giving you a better budget for the warmer months ahead. Extending the life of your roof for 10 years or more is value for money. Insulative Coatings is a fantastic way to protect, cool and add appeal to one of the many structures of your home. When the roof surface is able to reflect the suns rays the heat is less likely to be trapped in the internal cavity of your ceiling space causing heat to extend into your home. Solacoat Heat has been proven to drop temperatures by 10%. 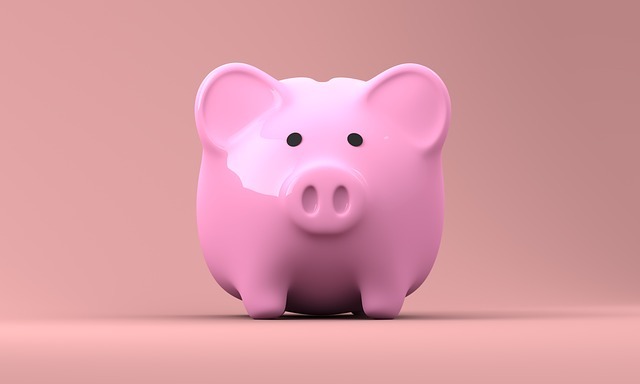 Savings where you can in the summer months is always good for the back pocket. When your home is cooler, air conditioners are not needed for long durations and can be set on a lower setting. Reflecting the suns rays puts energy back to the solar system. If you reduce the solar absorbance you remove the carbon dioxide from the atmosphere. Want to know the best way to protect your Roof? Bring life back into your roof or give your roof the added protection it is needing with a 10 year guarantee. Look no further than ROOFWEST Roof Restorations. We are the local company offering a range of roofing services that can guarantee will last. Contact Tom and the team at ROOFWEST Roof Restorations on 9795 9990. How do I prepare my home when my roof is getting replaced? There will be hammers banging on your rooftop\s that could shake the inside of the walls, so protecting display items or fixtures on your walls would be the safest option until works has been completed just in case. Protection to your plants and grass in the close surroundings will be taken into account, although it is a good preparation to trim any overhanging branches or do some much needed gardening along with mow to the lawn as the cleanup will be much faster afterwards. 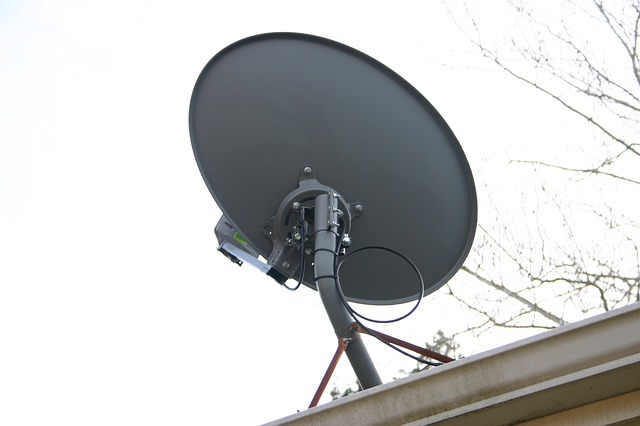 All antennas and satellites will need be removed and can be done by the roofing contractor. There can be some unexpected obstacles during the construction, electrical cords and equipment that all persons should be aware of and respect any of the safety instructions set out by the roofing company whilst the work is in place. Keeping children and animals away for the area will ensure safety for everyone. Keeping neighbours informed that works is always best and giving them time to prepare if someone is a shift worker or is susceptible to any noise level issues. 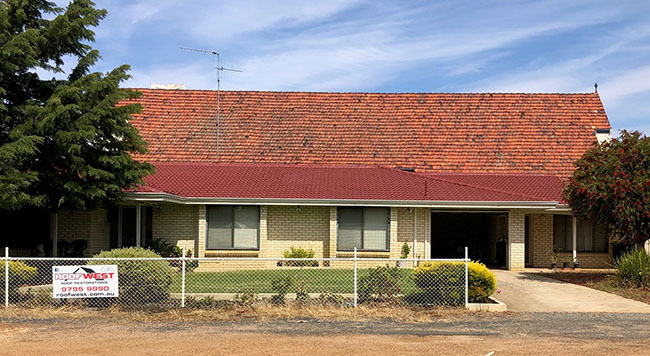 Investment of a new roof is a wonderful way to brighten the life of your home if you would like to know more about how to prepare your home for your new roof contact ROOFWEST Roof Restorations on 9795 9990. My Roof Is Faded – Can I Paint It? The roof of a home is exposed to the harshest of elements and, over time, the roof inevitably fades from it’s original colour and gloss. 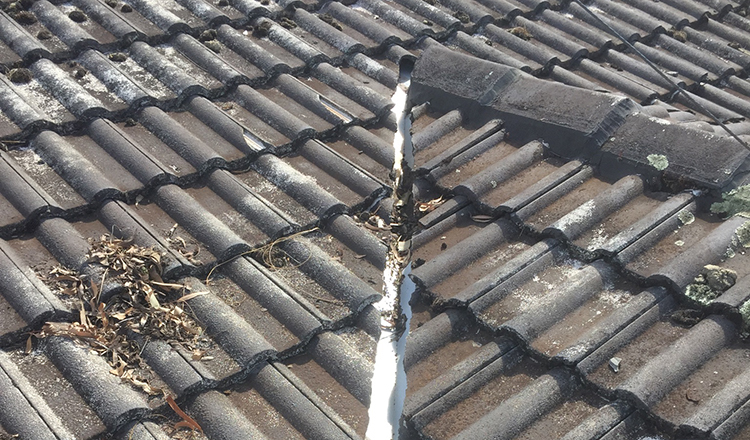 Aside from covering your roof in a protective sheet, you cannot avoid this type of element exposure and although it is not actually damaging your roof, it can leave it open to small cracks and possibilities of needing repair after time. Consistent maintenance using a quality roof membrane coating, such as Dulux Acra-Tex, can significantly reduce this weathering and the likelihood of damage to the roof surface, reducing the need for costly repair bills or complete roof replacement. Roof tiles move when heated and cooled, a process which occurs every day and if a coating does not move as well, it will either split/crack or separate from the tile. In both cases, this failure will result in moisture entering the surface below the coating and lifting off. Dulux Acra-Tex is ultra-flexible, so it moves with the roof surface, resulting in a much longer lifespan for both the coating membrane and your roof material. A fluid membrane, such as Dulux Acra-Tex membrane, clearly outperforms paint as it has greater thickness per coat and more “elasticity”. 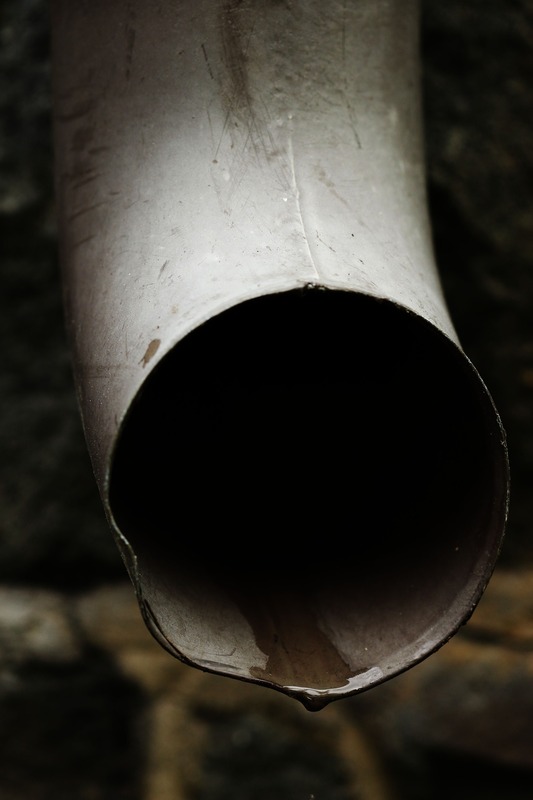 Another important characteristic of a membrane is its ability to breathe, allowing water vapour to escape from the substrate without allowing water to penetrate through. The Australian sun is harsh, so you need a product that is highly UV resistant and solar reflective. ROOFWEST’s Dulux Acra-Tex is not only formulated with premium pigmentation to withstand effects from the harsh sun, it is also made from eco-friendly material to resist pollution and provide potable drinking water from rain run-off. Who Can Help Me With A Roof Coating Solution? With a 10 year material warranty, all Dulux AcraTex premium quality products are manufactured to exacting specifications. All the products in the Dulux AcraTex Next Gen Roof Restoration System are manufactured under the most stringent conditions to meet the highest certifications. The team at ROOFWEST Roof Restoration are your local Dulux AcraTex agents and are proud to endorse this premium quality product. Call Tom and the team on 9795 9990 for a free onsite quote and get your roof protected with Dulux Acra-Tex today. When it comes to that time to restore your tin roof there are a quite a few positives that will bring life back to your roof and the protection of your home. Older style metal / tin roofs can be that made up an alloy that is lead and tin, they can be in materials of flat or corrugated. 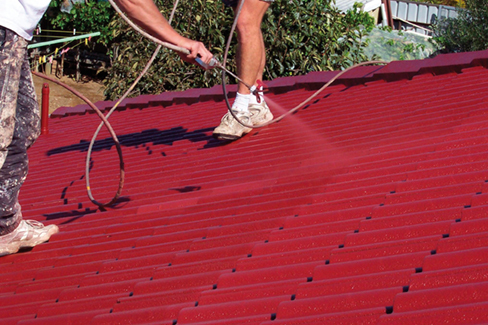 Newer roofs are generally COLORBOND® which is a type of steel. 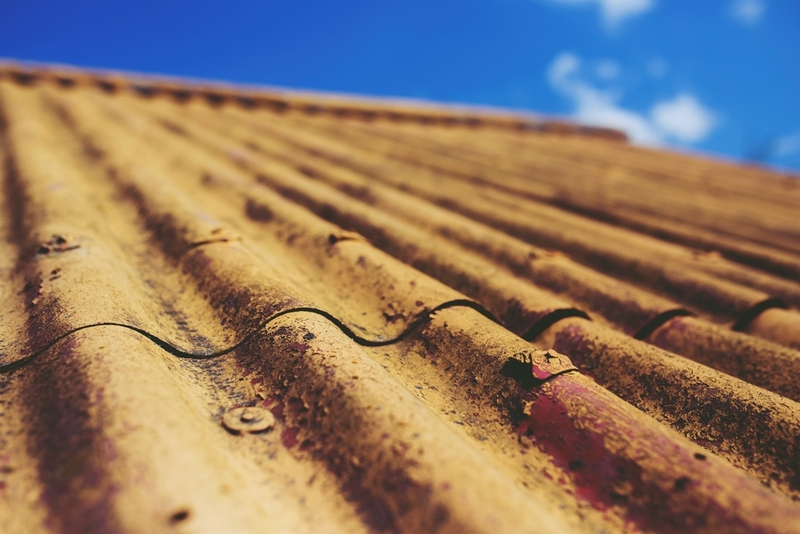 If your roof has become bare metal it will not be protected and can be subjected to oxygen and moisture, which in time will cause rusting. Rusting can be seen as the reddish brown decay you may see on the surface. If left untreated the rusting will continue to cause more damage to the tin and may become bigger and cause leakage. When it comes to your Roof you want the work done properly the first time with quality performance and a guaranteed satisfaction. A Roof Specialist with experience and knowledge will ensure your roof is given the attention it needs. Your roof should be thoroughly inspected for all maintenance and repair issues with a quote from start to finish. Once the inspection has been done, make sure you get a quote and before any repair work starts, (this should be free). Then you can contract the Roofing Specialist and a cleaning process will be done, that involves a high pressure clean, this will ensure all debris and surface dirt is removed giving a clean surface. 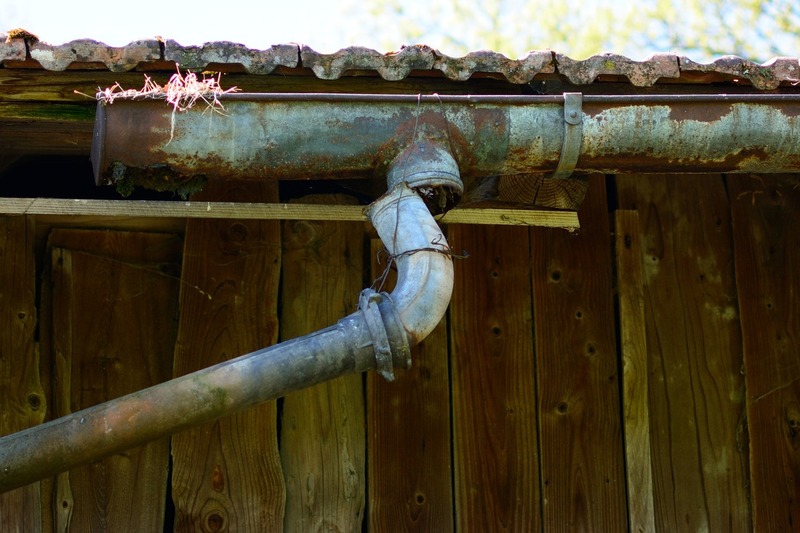 Depending on the individual roof and what is required, there might be flaps of tin to reattach, rust patches or whole sheets to replace, guttering to redo and flush with the maintenance of downpipes too. There are several steps to this process that will maintain the strength and durability of your Roofs life up to 10 years or more. The painting is an added protection that can help reflect the suns rays and ultraviolet rays that will then drop the temperature in the home to saving all round. Where Can I Find a Roof Specialists? ROOFWEST Roof Restoration has over 35 years’ experience in the industry and will give you the right solution for your needs. Free quotes and advice. 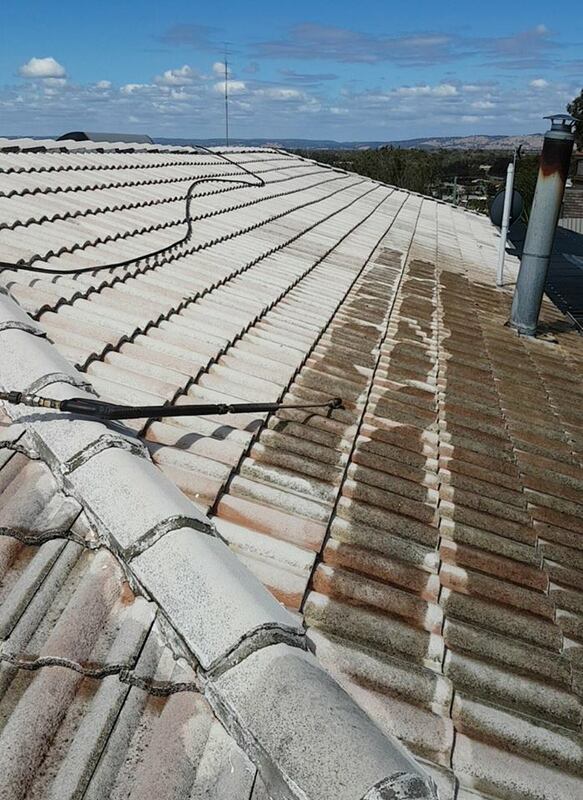 Contact Tom and the team at ROOF WEST today on 9795 9990 for your free onsite quote on all your roof restoration needs. Gutters are a fundamental structure to your home or business outskirts. They serve a great purpose for protecting your roof, walls, foundations and keeping water from building up around the areas of the front and backyard. When your home is situated in an area surrounded by many trees it should be a set agenda on the gardening to do list to ensure that your gutters are kept clear. If getting up on your Rooftop is something that doesn’t really appeal to you, contacting a professional who has the equipment and will work within the safety guidelines can be a much easier option. They will also be able to evaluate the gutters conditioning and inform you of any repairs or future upkeep that might need to be done. Are your Gutters in need of Maintenance? Usually when we have heavy rain our gutters can overflow, although if there is a blockage you will see an overflow of water coming from part of the guttering. If left unmaintained this can cause sagging to happen. When there is a build up of water the only place for the water to escape is over the sides, this can cause a weakness in the gutter itself which then it may need to be replaced. If gutters are blocked from leaves and debris, when the rains come, this becomes a soggy wet mess and is a perfect breeding ground for mould and mildew to start building. Heavy Storms can bring broken branches onto the roof surface with twigs, leaves and bits of debris it has blown in its path. It is a good idea to get the roof and gutters checked to make sure no damage has been done. Are your Gutters needing some special attention? 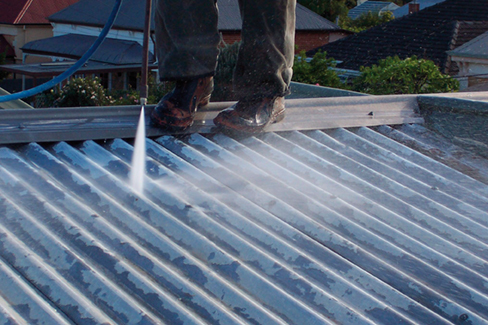 If you would like to have a specialised expert with 35 years’ experience assess your gutters today, don’t hesitate to call Tom and the team at ROOFWEST Roof Restorations on 9795 9990. How to Keep The Heat Out Of Your Home? Summer is just around the corner and now is the time to look at ways you can cool down your home before the heat is upon you. When it comes to trying to cool our homes we use insulation, window tinting and install air conditioning units to try to keep the heat at bay, which gives higher electricity costs due to the absorption of heat making its way through wall cavities and being trapped in the ceiling space. ROOFWEST Roof Restorations now have a revolutionary product called Solacoat Heat Reflective Coatings. 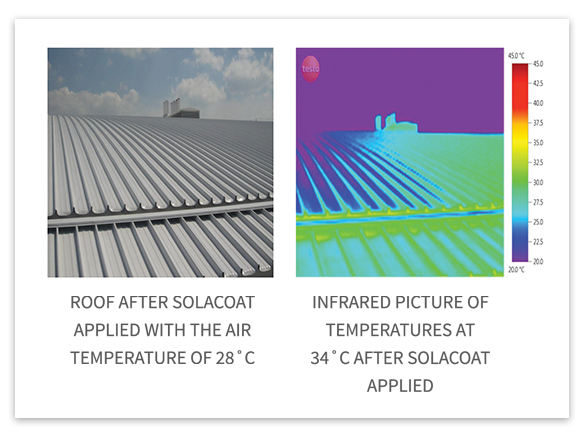 The Solacoat application system will incorporate a thorough inspection of the roof surface, cleaning and repair where needed. Then the final seal of the solacoat will give your roof the added protection for years to come. 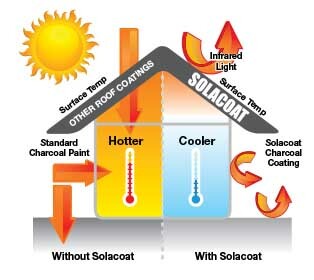 So how does Solacoat work? 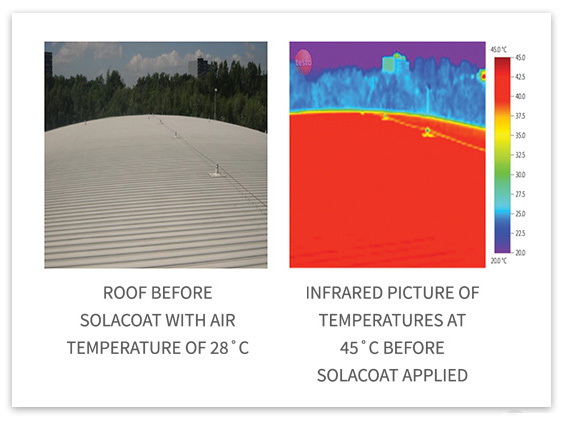 Solacoat works by reflecting the infrared light that is the heat element in sunlight, away from the surfaces and surrounding areas of walls, pavements. As the roofs coating will be reflecting a majority of the heat rays, less heat will be trapped in the Roof interior and the walls too will be cooler so the requirement to have air conditioning units running to full capacity will bring your costs down. Solacoat reflects the heat rays which puts energy back into the solar system. Research has found that from reducing the solar absorbance, you will be removing carbon dioxide from the atmosphere. 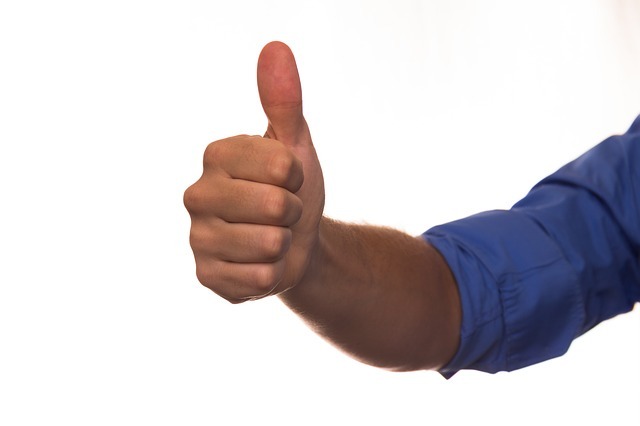 Would You Like to Know How to Enjoy The Benefits Of Solacoat? Contact Tom and the team at ROOFWEST Roof Restorations today. They are the leading experts when it comes to specialised skills and service in all aspects of the Roof industry. Should I Have My Roof Painted? When you get your roof painted it brings years of life back to the protection that shields your home. You will also have the option too to change the existing colour which could change the over all look of your house and increase the value. Overtime with the natural elements beating down on the roof surface can cause fading and peeling of paint and can make your roof not very appealing from afar. If your roof is showing wear and tear and needing that overdue uplift, RoofWest Roof Restoration are the professional roof coaters and have a range of services including assessing the roof condition and giving you the right advice to ensure you get the most out of your roof. A good way to see if your Roof is needing repainting is to get the surface high pressure cleaned, sometimes when dirt and debris is removed it can make all the difference and look so much brighter. Appearances do make a difference, when coming through from a road side and into the door way of your home. When your Roof is has been kept in good condition it will protect the underlining condition of the home itself. Having a nice looking roof can give a thought to potential buyers that the rest of your home has been looked after as well. The outlook of a roof can even add value to your home as it won’t look so dated. When the roof has been painted it is given a coating with priming and sealing to protect from any leaks. Another benefit in having your roof maintained with this treatment can help eliminate unwanted pests and rodents getting in. Who Are the Experts to Speak to When it Comes to Painting Your Roof? Your local RoofWest ROOF Restorations Specialists. Contact Tom and the Team today on 9795 9990 for all your roof painting and restoration services and get a free quote onsite. How Do I Cool my Roof Down this Summer? As the summer months are just around the corner, it is a good time to start to think of ways to improve how to keep your house cool through warmer months from the roof and around the home’s environment. RoofWest Roof Restorations are your roofing specialists when it comes to preparing your roof for the seasons ahead. Now introducing a new product called Solar Cool Roof System. Solar Cool Roof System is a metal primer consistency followed by top coating. This is a revolutionary water based membrane that has the reflective capabilities of up to 84.9% of the suns rays, protecting your homes roof and outdoor areas where it matters most. The product is of a porous consistency and is able to fill relatively small imperfections in materials of tile, timber and fibro board surfaces. Reflection of Infrared Light away from the Roofs surface, walls and pavements giving a cooler surface, then reduces the heat getting into our homes. Solarcoat Cool Roof can be applied to Roofs, walls and concrete flooring and due to its reflective capabilities, the surrounds are also given protection. Would you like to know more on how to get your Home Cooler this summer? Contact RoofWest Roof Restorations today 9795 9990 and turn your tired old roof, walls and paths or driveways into a money saving asset. Who does Painting In Bunbury? How Do I Know If I Need a Roof Restoration? How Do I Know If My Roof Is Damaged? When Should Gutters Be Replaced? Do Roof Coating Restorations Actually Work? Has Your Roof Sprung A Leak? Why Roof Cleaning is so Important? How Often Should You Coat Your Roof?